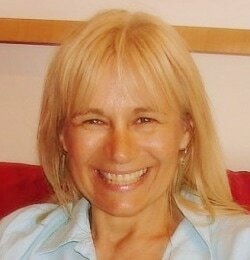 About Zorica Gojkovic, Ph.D. - The Time of Light Psychic Readings, Zorica Gojkovic, Ph.D. I was always clairvoyant, but didn't know it until later in life. Before that, I assumed everyone could see what I saw and do what I could do. It was a slow process realizing that not everyone scanned traffic at a distance as a way to find the best route home. Eventually I concluded that, in this way, I was different from most people. As far back as I could remember, I had precognitive dreams, regularly scanned people at a distance, traveled into the future to experiment possibilities, tasted food psychically, altered my consciousness to find out the truth about nature of reality, and automatically went into psychic mode when I needed to find something out. This was my reality, the only one I knew, and how I lived. Once I became more conscious of my psychic abilities, I would, informally, help family and friends. It wasn't until much later in life that I started to use this ability formally to help people. ​Meanwhile I received my Ph.D. in English, wrote a dissertation on the evolution of consciousness in the novel synthesizing the new physics, mysticism, theories of evolution of human consciousness and the novel. You can order a copy here if you like: order. Before I started giving psychic readings, it was writing that took up most of my life, and still does a great deal. I love working with writers using my psychic reading ability and my knowledge of writing and the writing process. I wrote The Workings of Energy in the Human Energy Field: A Psychic's Perspective when I saw that most of my clients faced the same challenges, challenges that had very easy solutions once you knew how energy operated in the aura. My own cutting edge . . . ever more perfect alignment with essence; continual surrender to transformation; to remain formless within form; feel the boundary and expand -- the Divine is boundless. Interesting Occurrences . . .